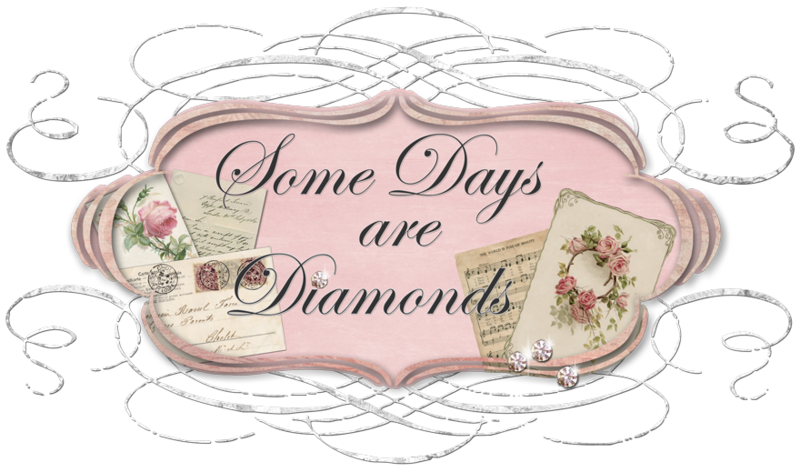 Some Days Are Diamonds: starting over! Back to square one. Hopefully this one will work. Once again - HELLO! I have ventured into blogland. I have found so much inspiration from other blogs that I visit, that I hope to inspire someone too. More posts to come. Thanks for your patience. I will repost the last few days with the pictures asap. Am running out of time today. Yeah!!!! !you did it, now you will have one more thing added to your list of things to do...he..he..he (tease) this really is a fun thing and you will meet alot of people this way! Karen, I stopped over from Connie's blog. Welcome to the world of sharing one's passions and thoughts. I share for Christ sake and in His name. I look forward to stopping by and visiting with you again. God bless you.